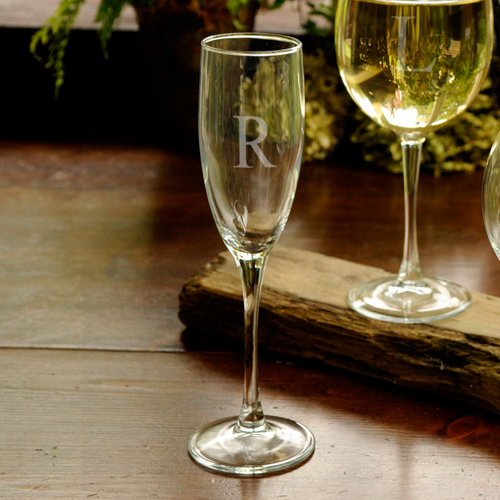 * Toast to health and happiness with our Personalized Toasting Glass. * This traditionally styled toasting flute holds 8 ounces of the best bubbly you can find. * Personalize with a single initial.